So, the plan for today was to go apple picking. J and I have never done it together, but we thought it would be a good tradition to start now that we have a daughter. The place we knew still doing U-Pick this year is Gull Meadow Farms in Richland. After L’s morning nap, we started driving east with the intention of eating along the way. I have no idea why either of us thought of it, but we ended up at Bennigan’s. I forgot that Bennigan’s even still existed. A few years ago, all of the company stores closed down after the parent company went bankrupt. The franchise stores survived, but even many of them ended up closing not long after the bankruptcy…probably due to people like me that didn’t realize that not all Bennigan’s closed. There’s actually somewhat of a revival as revamping of the brand occurred in late 2010. As of this summer, there are still 42 Bennigan’s franchise locations open with new still franchises being awarded. 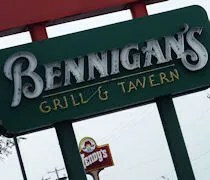 At one point, there were two Bennigan’s locations in the Kalamazoo area. The one that is now closed was on South Westnedge in Portage. That space is now Old Chicago. The still open Bennigan’s is on Gull Road right in front of the Meijer. The parking lot was pretty full as was the dining room once we got inside. A hostess took us to a booth in a dining room just off the bar. The decor of this Bennigan’s is still the older style with the older logo and the older Irish theme. The menu, however, is the new Bennigan’s menu. We both started with pop (Pepsi products) and were ready to order when the waitress came back with them. J’s favorite thing to do at chains like this is to order off the appetizer menu. Most of the places have a pick two or three option from the appetizer menu and she makes that her meal. 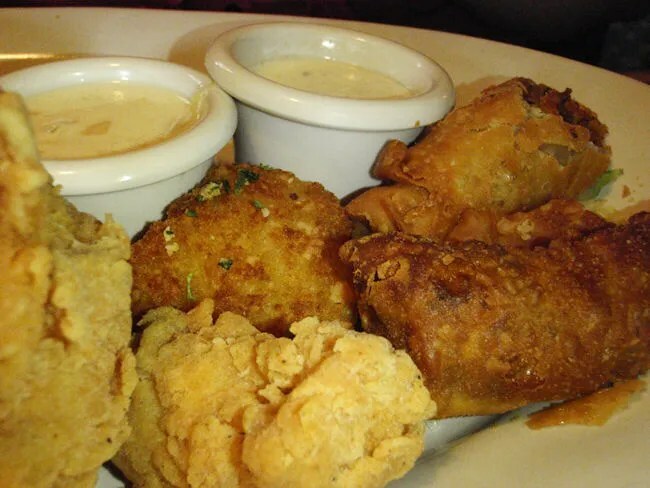 Bennigan’s had that option so she ordered the Southwest Egg Rolls, the Chicken Tender Bites, and the Broccoli Bites. At first glance, she thought the appetizers looked a little small, but it ended up being more than she could eat. 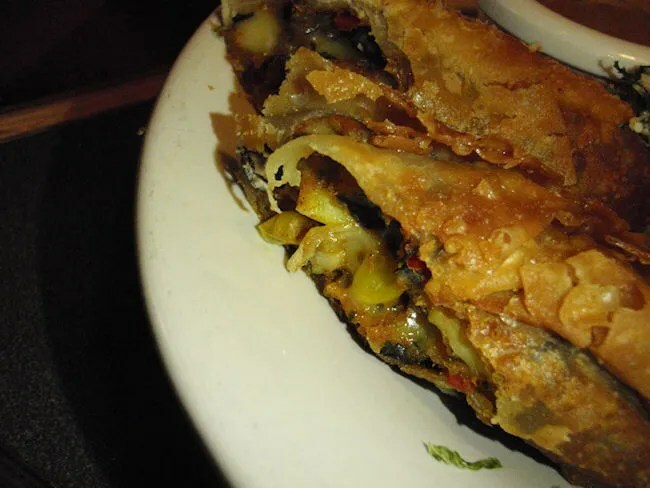 The Southwest Egg Rolls are her favorite appetizer menu items. These are crispy egg rolls with chicken, corn, beans, and rice. It’s served with a pineapple pepper cream sauce. The broccoli bites are a mixture of broccoli, bacon, and cheese that’s deep fried with a breading that includes Parmesan, garlic, and herbs. These come with a smoky honey Dijon dressing. The final part of of the trio was the Chicken Tender Bites. The hand breaded chicken tenders come with either ranch or Bleu cheese dressing. This was the only part of J’s meal that I was interested in. The chicken was actually really good and I could see myself making a whole meal out of it. My choice, of course, came off the burger menu. I chose the Guinness Glazed Bacon Burger. 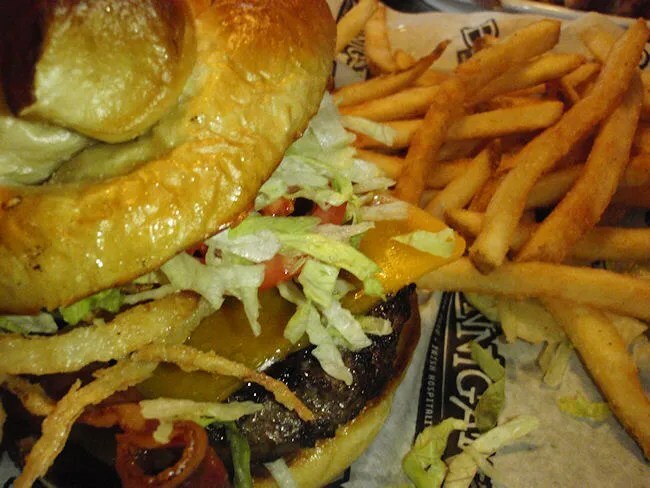 This burger, served on a pretzel roll, is topped with bacon, cheddar cheese, onion straws, and a Guinness Stout Glaze. The sandwich was surprisingly good. I’m usually hit or miss on the pretzel roll. Some times it works. Sometimes it doesn’t. This time, it worked. The hearty roll held up well against sticky Guinness Glaze. Obviously, the beer is the strong flavor on this sandwich, but it doesn’t totally overpower the more traditional ingredients. The sandwich came with a side of fries. They were crispy and had just enough salt to make them delicious. Our bill was right around $25 and lunch was pretty good. 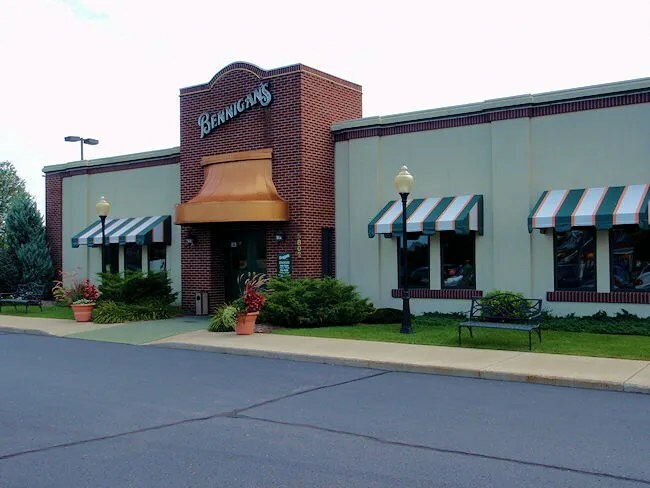 It has been pretty close to ten years since I last ate at a Bennigan’s, so I have no idea what has changed since the bankruptcy. Big picture, it’s still a chain and that part is pretty noticeable. The lunch we had was all very good, but not anything that I would crave if it ever went away. It’s better than the casual dining chain a few doors down, but it’s too far away from J and I to eat there regularly. i eat there all the time as the other local restaurants serve pre-made or frozen food…..